We’re live at a Samsung event in New York City where Samsung has taken the stage to discuss several of its new technologies that were first announced during the Consumer Electronics Show earlier this year. 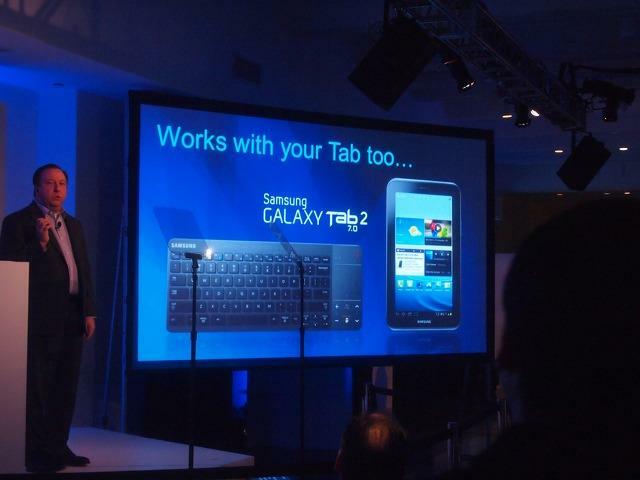 Is Samsung going to get rid of the remote control? The answer is no. 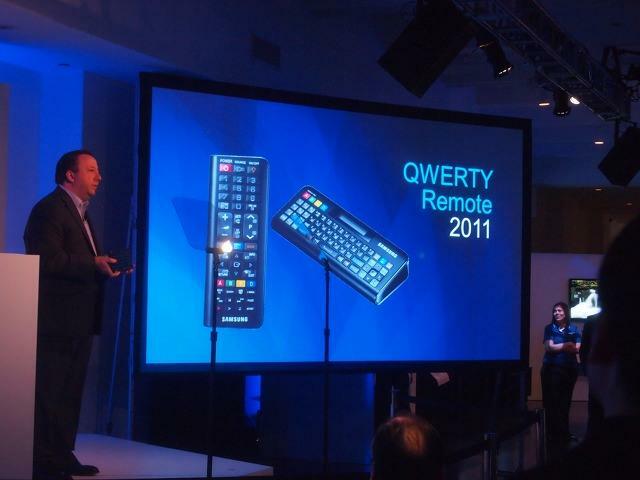 “In fact, we’ve made it better than ever,” the company said on stage, when it unveiled its new Smart Touch Remote Control. It has an edge user interface for channels and volume on the edge of the pad that make it easy to reach controls with a single finger. There’s also a built-in microphone for speaking directly into the remote and controlling your TV. 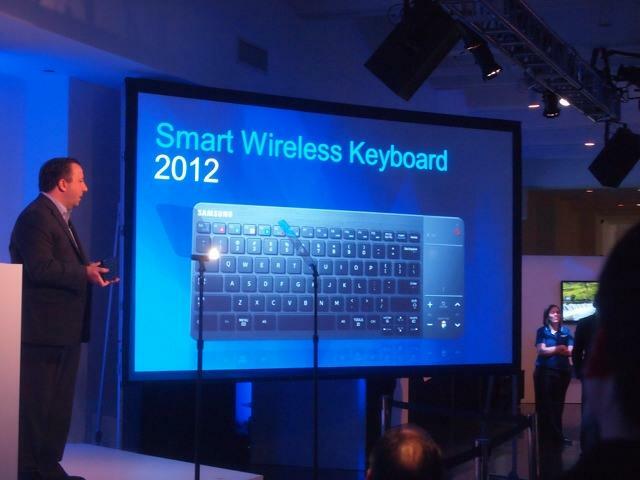 A new Smart Wireless Keyboard has Bluetooth support, a full QWERTY layout and is compatible with Galaxy Tab and Galaxy S smartphones, too. Samsung also unveiled its new EH Series of LED TVs and E8000 Plasma televisions. It hopes that these devices will be so affordable that they will be available to anyone. It’a also rolling out its new 3D BLu-ray Home Theater system, the HT-E5500W, as well as its HE-E550 Surround Sound Bar. It also unveiled its DA-E670 Audio Dock with support for both Apple and Samsung Galaxy products. Finally, it unveiled a Vacuum Tube Amplifier technology audio system. The company highlighted a number of other remote control tech, too, including the ability for a user to interact with a television set using gesture controls or voice thanks to an integrated camera on the top of several of its high-end Smart TVs, such as the ES8000. The noise-cancelling microphones in the television allow users to change the channel, the volume or choose an application simply by speaking to the TV. An included IR-blaster lets users control a set-top box with Bluetooth/IR signals to elimate wires. Samsung said it will open its APIs to developers later this year to allow them to create brand new gesture and voice applications for Samsung’s Smart TVs. New applications for Samsung’s Smart TVs include News Corp’s The Daily, HBGo, and more. A new family share feature allows users to share photos to other TVs easily. A fitness application will also help users keep track of their health and weight. Finally, Samsung said it will begin to sell additional 3D glasses for just $20 per pair.